We all know about the Internet of Things. Cool or useless gadgets, which are each controlled by their individual app on our smartphone. This is often very convenient, but not always. It may be hard to get the entire user base to use to use a particular app, especially if their skills and the hardware/operating system of the device is very diverse. Getting new users on board may be hard. Having one more app to install or activate may be very inconvenient. Especially, if the app is only used during part of the day. The device itself may already provide all the interaction that is needed. So, sometimes good old-fashioned physical devices may be better. One of those devices is the telephone. Why not call the device from a plain old telephone or DECT phone? They can be easily transferred and found. Or, why not have your device call such a telephone on certain events? The idea is not new. 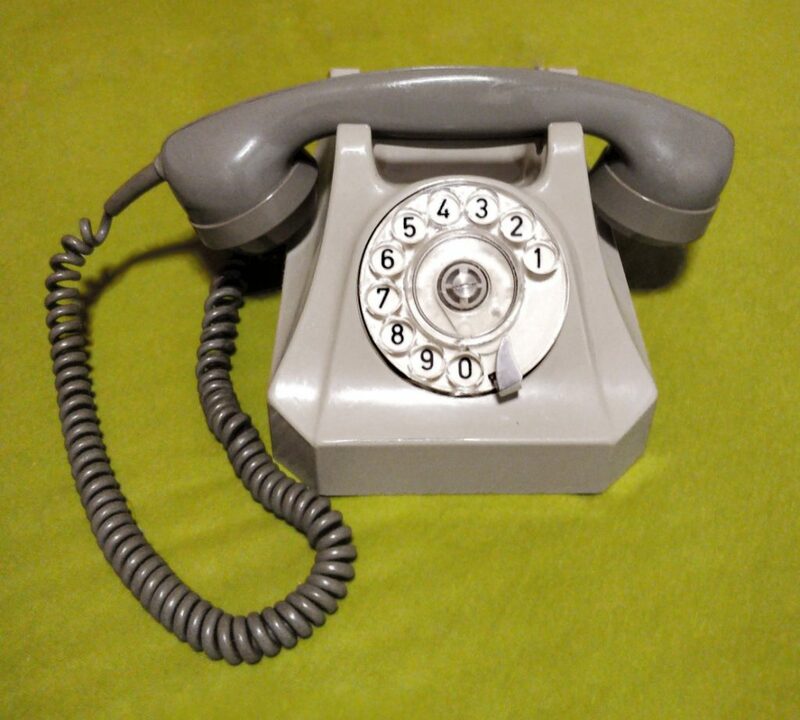 Widespread use of Interactive Voice Response (IVR) menus dates back to the 1980s. And as it is, it may sometimes still be the best option to have an automated conversation via phone. Let’s take a small, owner-operated shop as an example: During slow periods of the day, the owner might want get work done in one of the back rooms (store room, office, …). But what if a customer walks in? So it would be great to be notified. That signal should be very clear to the owner, but should not annoy or confuse the customer. In our example, some of the rooms are far from the sales floor and each other, and some of the activities might be themselves noisy. So a single bell placed at only a single location would not reach all the locations unless it would be very loud. So, the solution would be a portable, programmable bell. In a shop, you already have a portable bell: The telephone. So just make it programmable! The idea is to connect a tiny computer, connect it to a customer-sensor, and have it pose as another telephone. Then, it can call the shop owner’s phone on important events, but only if the shop owner is not in the sales room. When a shop attendant was in the shop, the door bell should not ring. When no customer was in and the attendant wanted to go to the store room, she should be able to quickly enable the door bell and take the phone with her to the store room. When a customer would then enter the sales floor, the attendant should be alerted so she can welcome the customer. Identifying whether the shop owner wants to leave the sales floor and thus arm the doorbell is done by calling the number of the sensor and immediately hang up, or use some DTMF digits to select options. The nice part is that the recordings, both for the ring tone (the door bell) and the announcements can be personalised. Getting things to work as smoothly as described here was not as easy as I hoped. However, it is easy to install and use, now. The remaining parts of this series explain the lessons learned and how you can reproduce it easily. So that you too can upgrade from cumbersome IoT to easy-to-use ToE.